Professor Kerrie Wilson is an ARC Future Fellow at The University of Queensland (UQ), Director of the Australian Research Council Centre of Excellence for Environmental Decisions and an Affiliated Professor in Conservation Science at The University of Copenhagen. Kerrie holds a degree in Environmental Science (First Class Honours, awarded in 1999) from UQ and a Doctor of Philosophy from The University of Melbourne in 2004 undertaken in collaboration with the United Nations Environment Programme – World Conservation Monitoring Centre located in Cambridge. 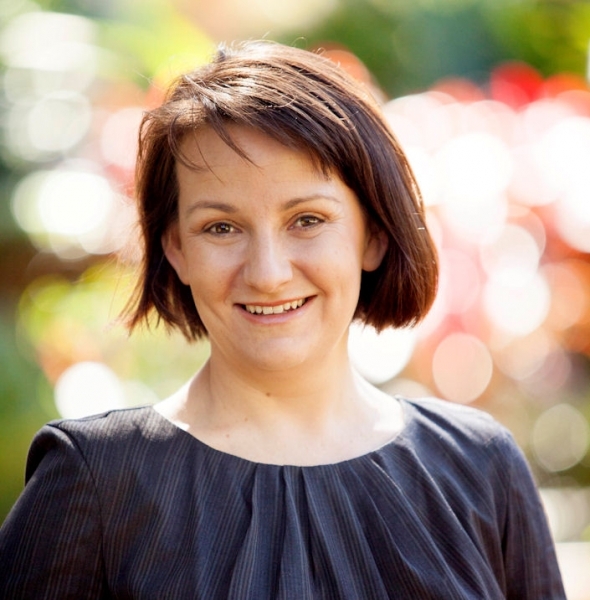 Kerrie has previously held leadership positions with non-government organisations including Director of Conservation for The Nature Conservancy Australia. She has a particular interest in applied conservation resource allocation problems, such as where to invest limited resources to protect or restore biodiversity and the role of ecosystem services in achieving conservation goals. Her research has been published in high impact journals such as Nature and Science and involves collaborations with governmental and NGOs at local, national and global levels. She teaches in Conservation Biology courses at UQ, supervises an amazing team of research higher degree students and is an Associate Editor of Ecological Applications and Ecography. She has received numerous national awards, including two Australian Research Council Research Fellowships, the 2017 Nancy Millis Medal for Women in Science (Australian Academy of Science), the 2016 Prime Minister’s Prize for Life Scientist of the Year, an Australian Museum Eureka Prize for Outstanding Young Researcher, The HG Andrewartha Medal, the SCOPUS Young Researcher Award for the Life and Biological Sciences and the Women in Technology Life Sciences Research Award. Wilson, K. A., M. McBride, M. Bode, and H. P. Possingham. 2006. Prioritising global conservation efforts. Nature. 440:337-340. Wilson, K. A., E. C. Underwood, S. A. Morrison, K. R. Klausmeyer, W. W. Murdoch, B. Reyers, G. Wardell-Johnson, P. A. Marquet, P. W. Rundel, M. F. McBride, R. L. Pressey, M. Bode, J. M. Hoekstra, S. J. Andelman, M. Looker, C. Rondinini, P. Kareiva, M. R. Shaw, and H. P. Possingham. 2007. Maximising the Conservation of the World’s Biodiversity: What to do, Where and When. PLoS Biology. 5. e233. Wilson, K. A., J. Carwardine, and H. P. Possingham. 2009. Setting Conservation Priorities. Annals of the New York Academy of Sciences The Year in Ecology and Conservation. 1162:237–264. Wilson, K. A., M. C. Evans, M. Di Marco, D. C. Green, L. Boitani, H. P. Possingham, F. Chiozza, and C. Rondinini. 2011. Prioritizing conservation investments for mammal species globally. Philosophical Transactions of the Royal Society Series B: Biological Sciences 366:2670-2680. Wilson, K. A., Auerbach, N. A., Sam, K., Magini, A. G., Moss, A., Langhans, S. D., Budiharta, S., Terzano, D. and Meijaard, E. 2016. Conservation research is not happening where it is most needed. PLOS Biology. 14(3): e1002413.doi:10.1371/journal.pbio.1002413.